It was mayhem in French class at Brooklyn’s Ditmas Junior High School. It was the late 1960s and Mr. V. had passed out the exam, then retreated to the hallway — the echo of his nail clippers made it difficult to concentrate. Students held their noses at the thought that he’d taken off his shoes and began passing around answer sheets. This was material for a budding cartoonist. Seemingly immune to the chaos was the student who sat in front of me. All I could see of her was a cape of wavy blond hair which, from behind, looked like the Addams Family’s “Cousin Itt.” Under that beautiful head of hair was the class brain, who had completed her own test before the cheating shenanigans began. This gave her time to draw — she loved to draw. 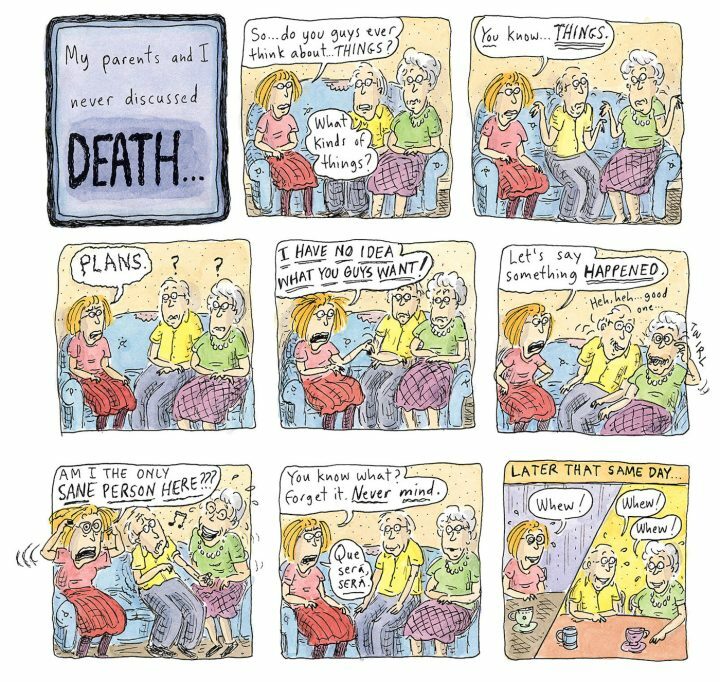 Her name was Roz Chast. It was the era of R. Crumb, Zap Comix, and Peter Max, and the influence could be seen in Chast’s adolescent drawings. Some of her characters were sort of “truckin,’” with billowing pant legs, often checked or plaid. Even then Chast loved patterns. 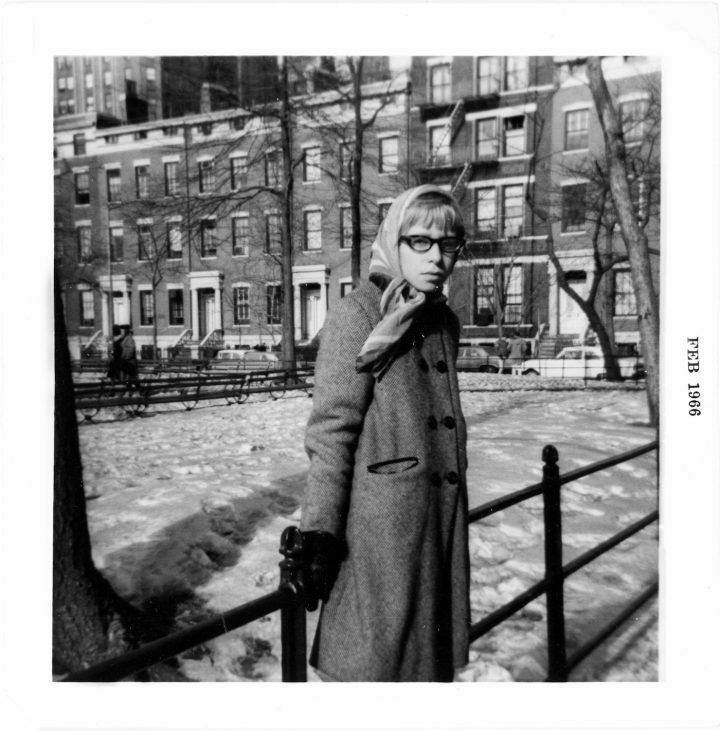 Roz went to Midwood (while I went to Erasmus) and then Rhode Island School of Design, so we lost touch, although there was a brief letter exchange after she became a New Yorker cartoonist — she responded warmly to my congratulatory letter. I kept tabs on her through the network of neighborhood ladies who knew her mother, until the New York Times began running regular accounts of her life. In a way, that zany junior high sensibility has never really left Chast. 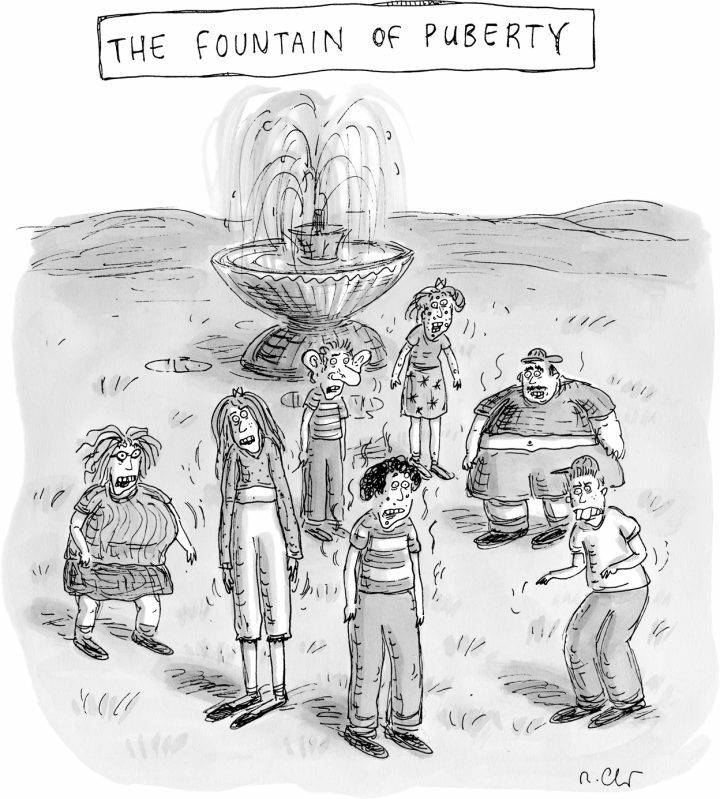 A 2012 New Yorker cartoon, “The Fountain of Puberty,” reminds us we’re still those pimply, bucktoothed, all-too-self-conscious types, with breasts either too big or too small for the clothes that never fit right. As I observed from my seat, Chast’s cartooning was a way of coping with the world around; she’s been laughing inside all along. “On every level I feel like anything horrible can happen at any moment,” she once said in a recent interview. 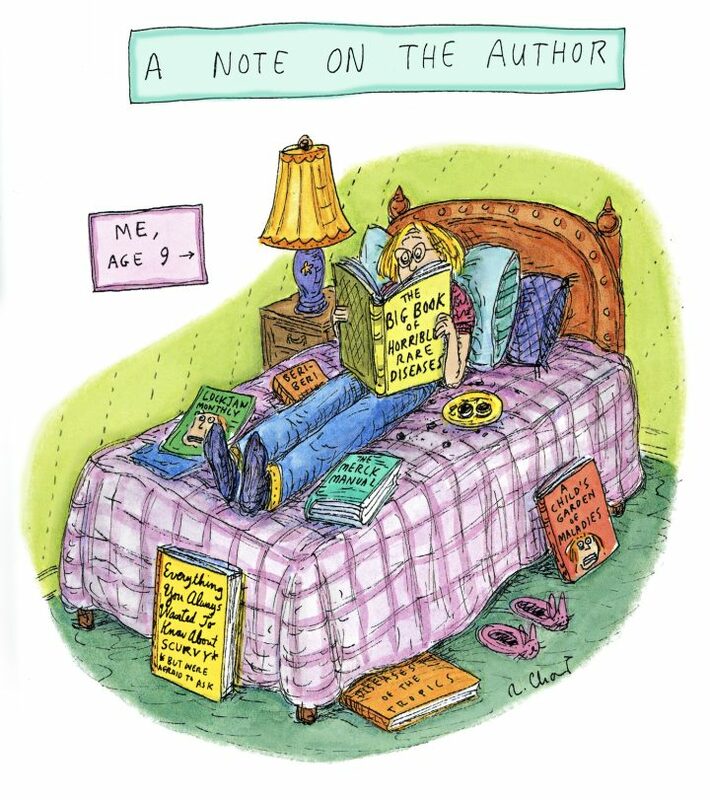 In her drawing “A Note on the Author,” she presents “Me, Age 9,” sitting in her bed surrounded by such books as A Child’s Garden of Maladiesand The Big Book of Horrible Diseases. Her most recent book, Going Into Town: A Love Letter to New York (2017), is a personalized travel guide to the city. It began as a going-away present to her daughter, who was leaving the family home in Connecticut to attend SVA in Manhattan — Chast says she’s always preferred cities to nature because of the density of visual information. A mural of a streetscape created specifically for the exhibition shows not only all the shops and their signs but the texture of the sidewalk, the urban architecture and the beloved water towers. And if that’s not enough, she shows the underground network of subway tunnels and electrical pipes, and advises that it’s best not to think about the fact that the ground under you has been completely excavated. 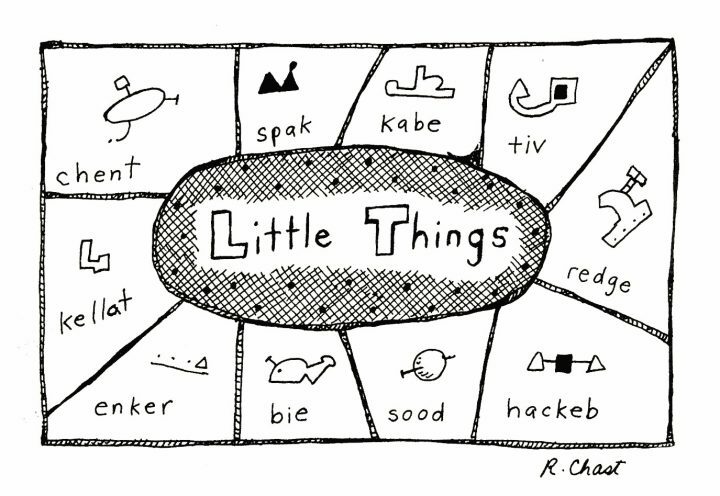 The first time she ever submitted to the New Yorker in 1978 — “Little Things,” made-up objects with made-up names — her cartoon was accepted, and Chast was invited to bring work back every week. But it hasn’t always been easy — in a video shown in the exhibition, she takes us to a file cabinet on which sit stacks of rejections. She says the reason they’re on top is because the file drawers themselves are filled with rejections. I would describe similar feelings about those 1960s Brooklyn days, and yet one of my most joyous memories is of sitting behind Roz and watching her draw. And when my own parents were dying, it was Why Can’t We Talk About Something Pleasant that helped get me through. Her depictions could be my life, they could be yours. The Master Series: Roz Chast continues at SVA Chelsea Gallery (601 W 26th St, Chelsea, Manhattan) through December 15. 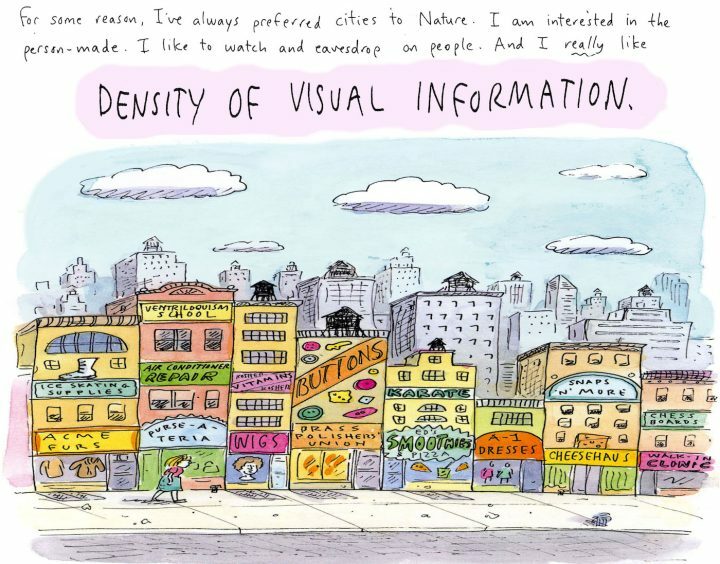 The post My Memories of Watching Roz Chast Draw in Junior High appeared first on Hyperallergic.